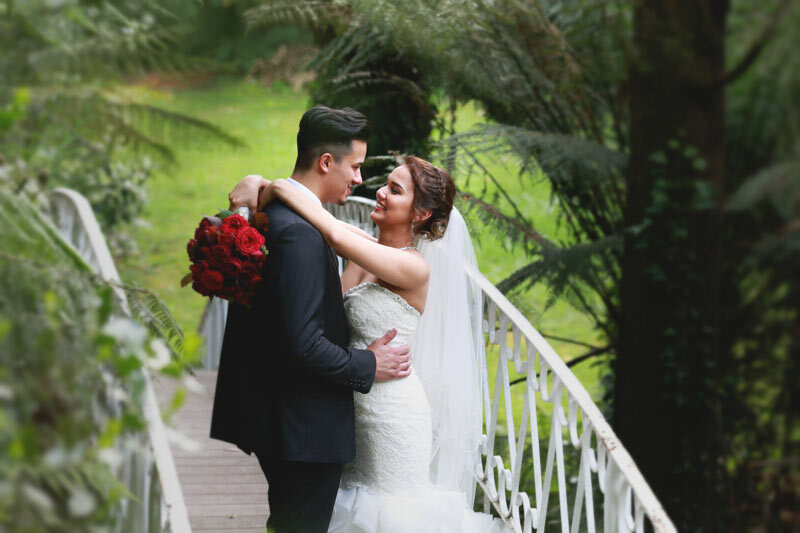 Set in the lovely Dandenong Ranges is Tatra Receptions, where Jasmine and her bridesmaids were up at the crack of dawn to get their hair and makeup done. When we arrived, the florist was putting the final touches on the bridal arch and had the beautiful bouquets ready to go. Jaz's two dogs were also going to walk down the aisle and they were happily resting on the bridesmaids beds. We always aim to capture the little details and the authenticity of the day in our videos so all this made for great footage. Jaz requested a feature video set to "I Can't Help Falling In Love With You", which she had looping all morning in the bridal suite. We almost didn't need a backing track as you could hear it in every second clip we filmed! Tatra Receptions is a wonderful venue for an outdoor wedding with its stone altar and arch set into the manicured, sloping gardens. It allows for some great contrast in photography and videography with its wide open spaces and secluded paths. In addition to the feature video, we presented Josh and Jasmine with full coverage of their wedding ceremony and the speeches at their reception totalling over an hour of memories. 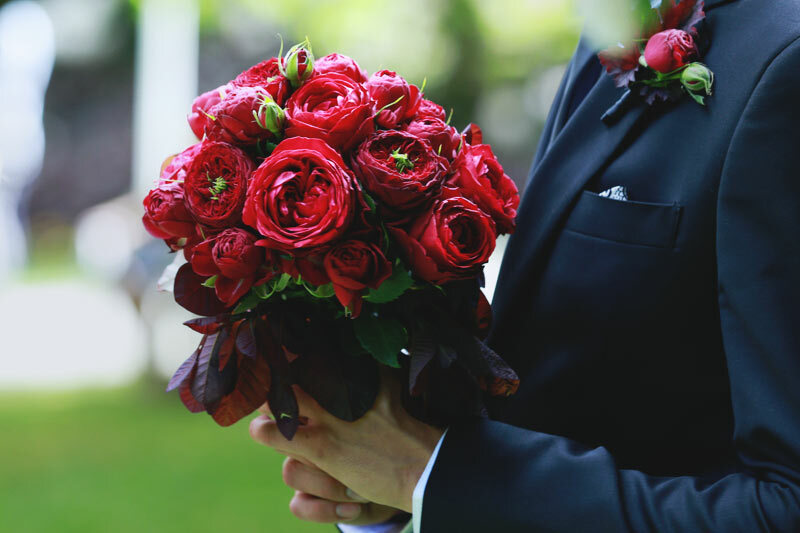 If you're planning a wedding in the Dandenongs, whether it be at Tatra, Poets Lane, Marybrooke Manor, Lyrebird Falls or one of the many great venues there, give us a call and we'll deliver professional and personal photography and videography for your special day. We'll capture the special moments of your wedding day with our natural, candid videography style. Our unique blend of wedding videography documents both the meaningful, and all the fun you'll have on the day. We'll help you plan your run-sheet, discuss your schedule and ensure we get the perfect footage of your wedding day that you will cherish forever!